Here are a few behind-the-scenes tidbits to pair with your next viewing of Martin Scorsese’s modern gangster classic. 2. IT’S BASED ON A REAL-LIFE GANGSTER. Jack Nicholson’s character is based on infamous Boston mob boss Whitey Bulger. Before he was captured in 2011, he was second only to Osama bin Laden on the FBI’s Most Wanted List and had a reward of $1 million for his capture. 3. SCORSESE AGREED TO DIRECT BECAUSE THE FILM FELT SIMILAR TO ONE OF HIS FAVORITE MOVIES. Scorsese has said that Monahan’s script reminded him of one of his favorite movies, the 1949 James Cagney film noir White Heat, which is also partly about an undercover police officer embedded with a charismatic gangster. 4. BRAD PITT IS ONE OF THE FILM’S PRODUCERS. The actor was originally going to play one of the two lead roles that eventually went to Matt Damon and Leonardo DiCaprio. However, he decided to produce the movie instead because he thought he was too old to play either part. 5. IT ALMOST STARRED ROBERT DE NIRO. De Niro, who has made eight films so far with Scorsese, was originally asked to play either mob boss Frank Costello or police Captain Queenan. He declined both in favor of directing his own movie, The Good Shepherd (which also starred Matt Damon). 6. MARK WAHLBERG WASN’T THE FIRST CHOICE TO PLAY DIGNAM. Ray Liotta (who was also in Scorsese’s Goodfellas) and Denis Leary were initially considered for the role, which eventually went to Wahlberg. Wahlberg was nominated for a Best Supporting Actor Oscar for his performance. 7. THE FILM’S STAR POWER COST A LOT OF MONEY. 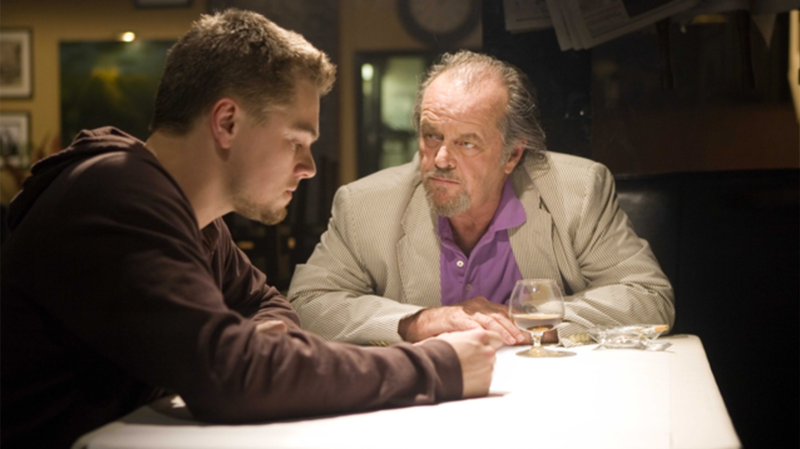 Roughly 50 percent of The Departed's $90 million budget went to the actors’ salaries. 8. THE FILM TAKES A WHILE TO GET GOING. The title card doesn’t appear until 18 minutes after the movie starts. 9. IT TAKES PLACE IN BOSTON, BUT WAS SHOT MAINLY IN NEW YORK. Certain exterior shots were filmed on location in Boston, but most of the interior scenes were shot on sets in New York City. 10. SULLIVAN’S CONDO ISN’T A CONDO AT ALL. Scenes there were filmed at the Suffolk University Law School library. 11. “GIMME SHELTER” IS SCORSESE’S UNOFFICIAL GANGSTER THEME SONG. Before The Departed, Scorsese had previously used the Rolling Stones song in Goodfellas and Casino. It seems Billy Costigan loves the Stones, too; the CD that he mails to Sullivan is housed in the case for the Rolling Stones album Exile on Main Street. 12. A REAL-LIFE FORMER DETECTIVE WAS AN ADVISOR ON THE MOVIE. Former Boston Police Department detective Tom Duffy was a technical consultant on the film. During his time on active duty he was specially assigned to Boston’s Whitey Bulger/Irish Mob investigation. He also has a cameo playing the Governor of Massachusetts. 13. IN THE DEPARTED, X MARKS THE SPOT. Whenever anybody is killed onscreen or talks about murder, Scorsese had a hidden “X” positioned somewhere in the frame as an homage to the 1932 version of Scarface (another of Scorsese’s favorite movies) which does the same thing. 14. THERE’S ALSO A MUSICAL HOMAGE TO SCARFACE. In that movie, whenever Tony (played by Paul Muni) killed someone he would whistle the sextet from the Gaetano Donizetti opera Lucia di Lammermoor. This is the same opera that Jack Nicholson’s character attends in The Departed. 15. SCORSESE WON HIS FIRST (AND SO FAR ONLY) OSCAR FOR THE MOVIE. Scorsese was nominated for the Best Director Oscar five times before he won for The Departed (plus two for writing). He’s received four more nominations since then, for Hugo and The Wolf of Wall Street, but has come up empty-handed each time.